I'm packing up for a move, so of course that means stopping and looking at everything before boxing it up. 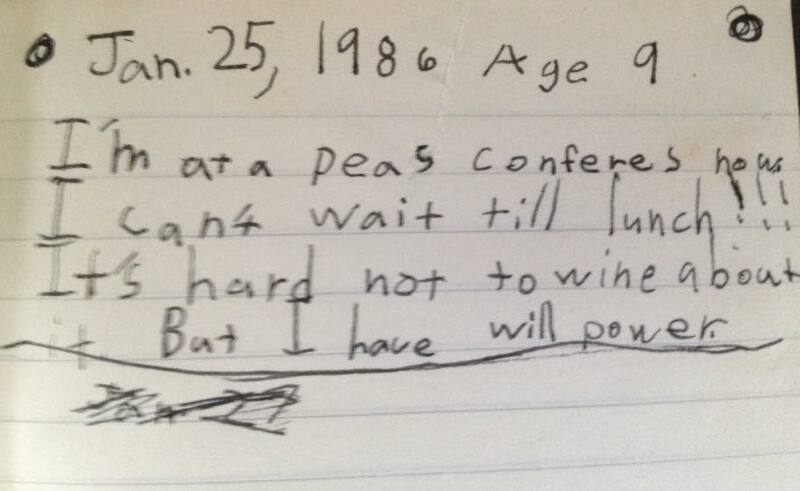 My mom encouraged me to keep a diary when I was a kid. I didn't stick with it for very long. There are about eight entries. This is the last one. As an adult I wish the kid I was had kept with it. I'd like to read more of what I thought about back then. 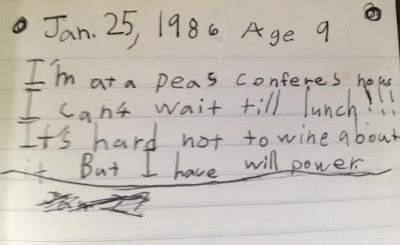 I wonder if my kids would like to start keeping a diary. Maybe I'll ask them. That's cool that you found it. I wonder if my boys even know what will power is.